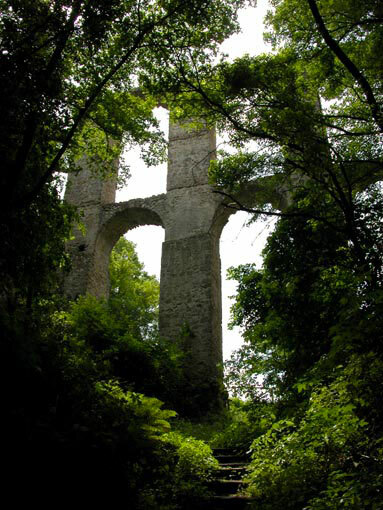 A Roman aqueduct, Etruscan tombs, abandoned medieval church and town within few meters. Monterano stands on a tuff hill whose sides dive for about 100 meters on two underlying gorges formed by the Mignone River to the north and from the stream Bicione to the south and east. 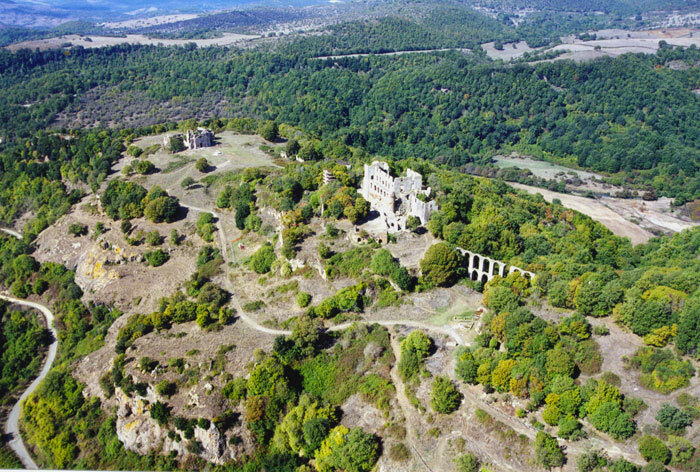 Located to the west of Lake Bracciano, about 2 kilometers from the town of Canale Monterano, the village is situated between the Tolfa and Sabatini Mountains in the heart of the Natural Reserve of Monterano. The hill is crossed by the two gorges and is dotted with Etruscan burial grounds, small caves covered with thick vegetation and some pools of boiling water, representing the ancient volcanic activity in the area. 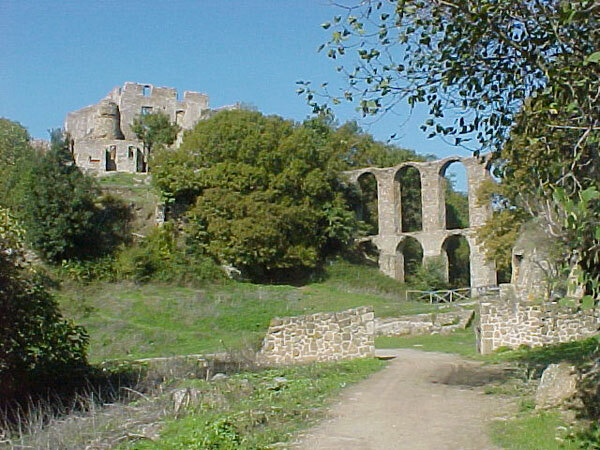 The starting point of the history of Monterano is to be found in the Etruscan period, though, at present, there are any ruins. The only evidence of this civilization are given by the presence of tombs scattered along the foothills of the hill and an artificial passage carved into the stone, the Cavone, allowing an easy downhill run. 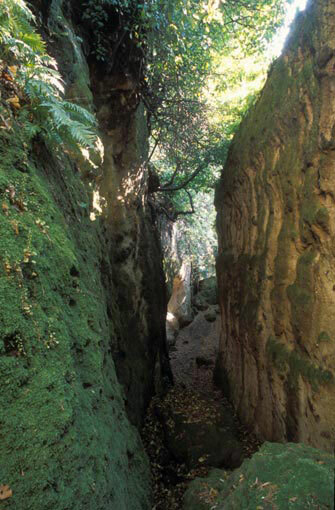 Like all Etruscan towns, from the second century BC, Monterano also was subject to the Romans who expanded the road network and built the aqueduct. By the fourth century AD, when the Roman Empire was gradually falling under the pressure of barbarian invasions the territory of Monterano suffered the same fate. The Lombard rule did nothing but impoverish even more people at least until the Christian bishop and last inhabitants of the nearby Forum Clodii, exasperated and frightened by the continuous raids of the Germanic people, at the beginning of 500 decided to abandon their lands and move to Monterano. The town was enlarged and fortified, and new roads and solid walls were built. This repopulation, together with the fact that it became a bishop’s seat, brought Manturianum (as it was called in the sixth century AD Monterano) again to be the most important center of the Sabatina. This status lasted until the tenth century when the diocese was taken from the town of Sutri. 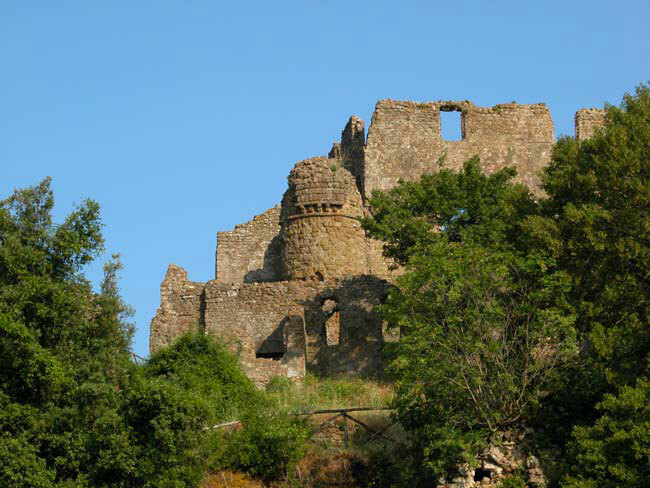 The latest news we have about a bishop of Monterano dates back to 998. This event was followed by a slow and gradual decline that brought the village to have few inhabitants. 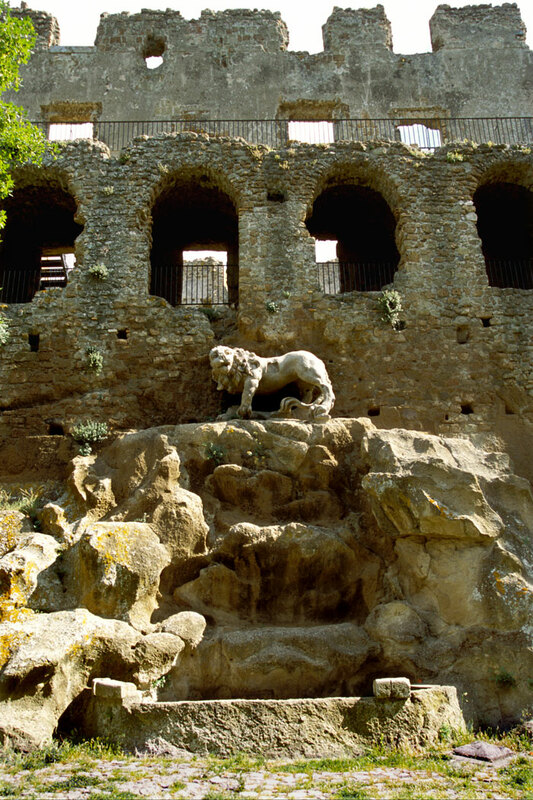 Only in the fourteenth century Monterano saw a substantial economic, demographic and social recovery, but now the center of power had finally moved to the nearby and more powerful Bracciano. At the end of 1300 and the beginning of the next century, the village had a reputation for his mercenary captains Coluzia and Gentile: the first was sent by the Pope to quell the revolt of Corneto (now Tarquinia) and the second, co-owner of the manor, participated in the wars of succession for the Kingdom of Naples. In the 1500 the manor was bought by the Orsini who took advantage of the period of economic crisis and the simultaneous weakening of the Papal States. But the real flowering of the village occurred after the acquisition of the estate by the Altieri family who had distinguished Emilio Bonaventura Altieri as a member who became Pope under the name of Clement X in 1670. With the new ownership, the village was enriched with significant buildings whose design was entrusted to Gian Lorenzo Bernini. The Church and Convent of St. Bonaventure, overlooking the octagonal fountain were restored. Unfortunately, this new artistic vitality did not last long. After the death of Pope Clement X, the people of Monterano knew another period of great economic and social difficulties mainly due to the confusion and instability of the Papal States. But a far more serious scourge struck in 1770: malaria, which decimated the population, especially the peasantry. Deprived of the temporal power of the Pope (1798), Monterano passed under the Roman Republic, which capitulated the following year by the Bourbon army. Once the Papal States were restored, a bloody and unexpected incident put an end to the long and troubled history of Monterano. The town in fact it was completely destroyed and burned by the French army.